Check the fastest route using Reittiopas. 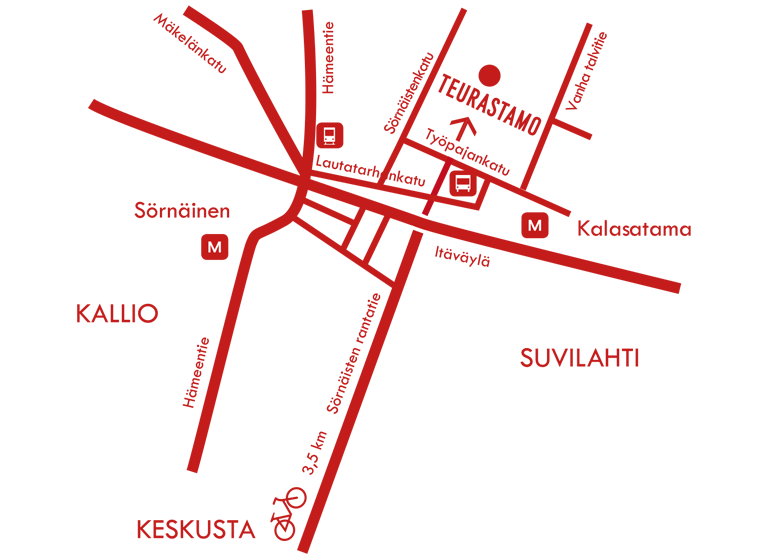 Teurastamo is located between Helsinki’s Kalasatama and Sörnäinen at Työpajankatu 2, 00580 Helsinki. Teurastamo can be easily reached using buses 55 and 56. 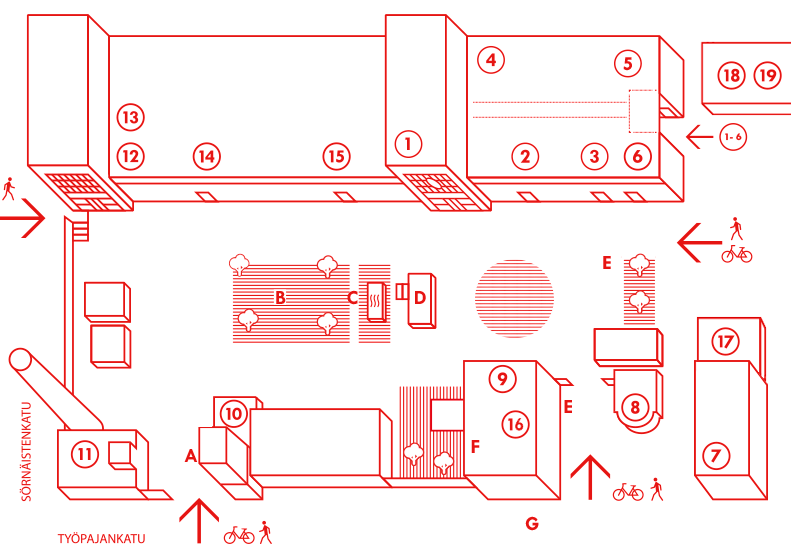 The closest tram stop is Lautatarhankatu, which is used by tram lines 6, 7A, 7B and 8. Kalasatama metro station is also located right around the corner from Teurastamo. If you’re arriving by car, please keep in mind that the Teurastamo yard is off limits to cars and cannot be used for parking. 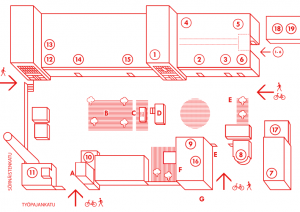 Parking spaces can be found along nearby streets and near Wholesale Food Market yard. Teurastamo has plenty of room for cyclists and there is also a city bike station in the area. Teurastamo is run by the City of Helsinki Wholesale Food Market and the area’s business association. If you wish to submit feedback concerning Teurastamo, please send it to us at hel.fi or via one of Teurastamo’s social media channels.